Marvel over the world's tallest building, the Burj Khalifa, more than 160 stories tall. Indulge in local Middle Eastern cuisine on a walking food tour. Try Arabic coffee, traditional plates, and plenty of sweets. Learn about the Emirati culture. Visit Jumeirah Mosque to gain an understanding of Islamic beliefs and traditions. Explore the Arabian desert and have the chance to sand board, ride a camel, or get a henna design. Visit three of the seven emirates that belong to the UAE; Dubai, Abu Dhabi, and Sharjah. Experience The United Arab Emirates Tour! The country offers a unique blend of modernization, Emirati culture, and adventure. Dive into Dubai and Abu Dhabi and have the opportunity to see the emirate of Sharjah. Be surprised with the unique natural beauty of the country. See exciting modern architecture such as an award-winning fully recyclable building and The Burj Khalifa, currently the tallest building in the world. Admire the largest man-made port in the world. See the wonders of Ferrari World. Take part in a booming nightlife in Dubai. Visit the Palm Jumeirah, the world famous artificial archipelago. Go to the Jebel Ali Port, the largest man-made port in the World. Spend a day immersed in Emirati culture. Begin by visiting the Jumeirah Mosque to get questions answered about religion and traditions. Wander through the Old Souk in Bur Dubai (an Arabic inspired market) and indulge in all the Middle Eastern flavors found in Dubai on a walking food tour. Visit the unique Abu Dhabi Falcon Hospital, the region’s first and only dedicated facility for falcons. Ride a water taxi in Dubai across the creek to explore the spice and gold souks. Get ready for an adventure. Watch the beautiful sunset in the desert. Have the opportunity to do camel riding, sand boarding and try out a henna design. Witness the traditional folk dance ‘Tanoura’ that is sure to be mesmerizing. Enjoy the Arabian hospitality with dates, Arabic coffee and the the Arabic water pipe. After working up an appetite, enjoy a delicious barbecue dinner. Watch an oriental belly dance performance. Upon arrival into Dubai, be met by a local Yampu representative who will transfer the traveler to the hotel. It has been said that Dubai is a city of ages that rises out of the desert and crowns the Gulf Coast with its presence. The city is in constant motion and renewal, offering a unique blend of the old and the new, making it one of the most fascinating destinations in the world. The route first goes to a magnificent view of Dubai Creek, passing by the heritage area of Bastakiya, with its charming wind towered houses built by wealthy merchants. Move on to the 225 year old Al Fahidi Fort, where the Dubai Museum holds precious archives and memories of the city's past, as well as chronicles of its developing stages. Just a few streets on, board an Abra, a traditional wooden boat, to cross the Creek for a visit to the Spice Market and the Gold Souk. Find some of the best jewelry in town. Boarding the vehicle again, and have the opportunity to stop for a photo shoot next to Jumeirah Mosque- an architectural landmark of Dubai, and as finale to the journey, pass in front of Burj Al Arab. At the appropriate time be met at hotel to transfer back to the Dubai airport for departing flight. Dubai is one of seven emirates that make up the United Arab Emirates. Since the country’s establishment in 1971, Dubai has become a major global city and acts as one of the largest business hubs in the Middle East. Dubai is known for its modern architecture and is home to the world’s current tallest building, the Burj Khalifa. The city is associated with all things luxurious, offering many luxury shopping and hotel options. Abu Dhabi is the capital and the second largest emirate of the United Arab Emirates. The city is home to many oil company headquarters and government buildings. In the past decade, Abu Dhabi has increased its seen an increase in tourism, offering attractions such as the Formula 1 race track and Ferrari World. Abu Dhabi is one of the most modern cities in the world and offers many luxurious hotels and malls. Sharjah is the one of the seven emirates that belong to the United Arab Emirates. Neighbor to the emirate of Dubai, Sharjah is the third largest emirate in the country. Sometimes referred to as the cultural capital of the UAE, there are many sites and museums in Sharjah that honor the emirate’s maritime heritage. Many citizens choose to live in Sharjah and commute to Dubai. Sharjah is the only emirate to border both the Persian Gulf and the Gulf of Oman. Standing 20 floors tall overlooking the Creek, this 3-star hotel is conveniently located in the quiet area of Al Maqtaa. The hotel is 15 minutes from downtown and close to all major business hubs and key leisure attraction of Abu Dhabi. Close to Abu Dhabi Airport, Exhibition Center, Yas Island and the highway to Dubai, the hotel features many innovations like online check-in and Accor Press. The hotel offers charged Airport pick-up, free WiFi, free indoor parking and valet service. Great value meets great views at ibis Abu Dhabi Gate. Our 294 air-conditioned rooms and apartments featuring the Sweet bed by ibis and free WiFi. Enjoy our restaurants and bars with lovely terraces and relax at our wellness area and Swimming pool. Centro Yas Island enjoys an idyllic location that is beautiful and fun in equal measures. A few minutes away from the Formula 1 racetrack, Yas Links Golf Club, Yas Marina, Ferrari World Abu Dhabi, Yas Waterworld and Yas Beach, a 10-minute drive from Abu Dhabi International Airport, 20 minutes from the business district and 40 minutes from Dubai. Defined by a youthful and fresh vibe, Centro Yas Island, is a contemporary hotel with an innovative presentation and an exceptional range of services. This 259-room hotel is designed to meet the requirements of a new generation of traveler, seeking finesse and functionality at reasonable rates. Advanced business facilities and high-speed WiFi Internet access come as standard in every room. Providing unique living spaces in a modern setting, Centro Yas Island offers amenities specifically tailored to the needs of the travelling executive. Comfort and convenience are key at the Mercure Abu Dhabi Centre hotel, in the heart of the business and shopping districts of Abu Dhabi. Whether you’re with us for business or pleasure, you’ll enjoy our free shuttle service to Abu Dhabi Mall and Marina Mall. We’ll ensure the success of your event with our 6 well-equipped facilities for up to 150 guests, and guarantee your pleasure with our seven bars and restaurants, including Le Beaujolais, ranked Abu Dhabi’s best French restaurant ‘BISTRO’. The Mercure Abu Dhabi Centre Hotel is a great choice for work, play, and shopping. Our choice location in the center of the city makes getting around easy. The Corniche coast is a few minutes’ walk away as well as the recent opened mall “THE MALL” at the Abu Dhabi World Trade Center, and our free shuttle bus service will take you to Abu Dhabi and the Marina Mall. Be sure to visit the magnificent Sheikh Zayed Mosque, the 6th largest in the world, as well as Abu Dhabi Cultural Centre. Just 20 minutes drive from Dubai International Airport, tired travelers can relax on one of our 10-inch luxury mattresses. All 691 rooms offer contemporary comfort and put you close to the city’s major attractions. The World Trade Center, Dubai Mall and Burj Khalifa are close by; with Dubai Creek and the city’s Heritage and Diving Village just a stone’s throw away. 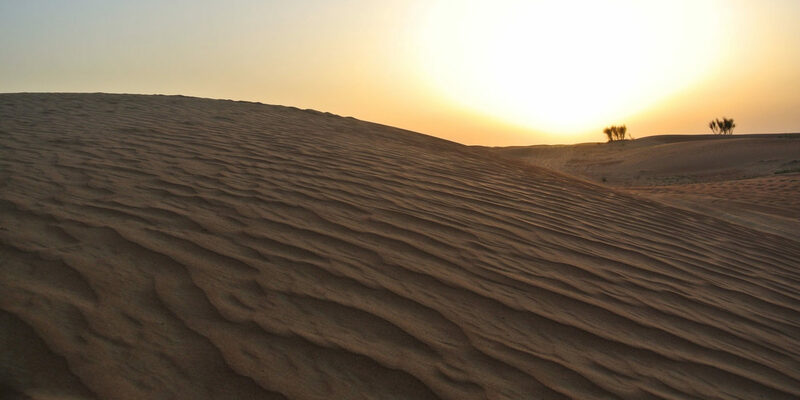 Rovers, discover Dubai from Rove City Centre. Located just 10 minutes from Dubai International Airport and steps away from key landmarks, our Deira hotel is the #perfect hub to begin a cultural adventure of the city. Sail away on a dhow cruise from Dubai Creek, or enjoy a shopping spree at nearby malls. Happy roving! In Dubai’s pulsating heartbeat, discover the perfect jump-off point for urban exploration. Located right across the road from the city’s most happening neighborhood, Rove Downtown Dubai hotel is a short stroll to the iconic Burj Khalifa and the world’s largest shopping and entertainment destination, The Dubai Mall. Centrally located, Citymax Hotels Al Barsha gives easy access to Dubai’s premier lifestyle destinations, like Mall of the Emirates, Dubai Media and Internet City, Jebel Ali Free Zone, Al Quoz, the magnificent beaches, Jumeirah Beach Residence and The Walk, making it a favorite among business and leisure travelers. The hotel has plenty of entertainment and dining options, including Huddle Sports Bar & Grill, Maxx Music Bar, City Cafe our all day dining restaurant, 24hr Lavazza, and the Pool Bar. Its facilities include 376 modern rooms, free Internet access, a gorgeous rooftop pool, a state-of-the-art gymnasium, an easy access travel desk and complementary bus service to the beach. Le Meridien Abu Dhabi provides you with the comfort of your own home. Le Meridien Hotel is a 4-star resort hotel in Abu Dhabi, conveniently located in the Tourist Club Area in Abu Dhabi, within a few minutes walk from the city’s business district, shopping malls, historical areas and exhibition centers while enjoying the luxury of a resort getaway with lush gardens, a private beach and spa. It is famed for the Le Meridien Village, which lies in exclusive scenic gardens with picturesque walkways, surrounded by a unique mix of restaurants representing various cuisines from around the world: Greek, Thai, Italian, English, American and the world-renowned Latest Recipe. Indoor and outdoor seating is available in a relaxed and enjoyable surrounding. Ramada Downtown Abu Dhabi an exciting new hotel in the heart of the downtown banking district. Our 112 rooms & suites have been designed with contemporary luxury in mind. Enjoy Korean cuisine or beverages at Sura, let your hair down at our Karaoke rooms & savor specially selected cuts of Meat from our Steak menu at Vertical, the city’s only Wine Bar & Restaurant while you take in the panoramic views of Abu Dhabi’s skyline at night. Novotel Abu Dhabi Al Bustan, a contemporary hotel in an exclusive neighborhood for business and leisure. Unwind in our Fitness & Wellness Centre or relax by the outdoor heated pool. Meeting areas and ballroom available for all your event-planning needs. Enjoy discovering our exciting range of bars and restaurants at Novotel. The stunning new 4 star Novotel Abu Dhabi Al Bustan hotel offers both families and business travelers the perfect welcome. Located in one of the capital’s most exclusive neighborhoods, it’s just 20 minutes’ drive from Abu Dhabi International Airport, and 15 minutes to downtown Abu Dhabi. Close by are Abu Dhabi Exhibition Centre, Zayed Sports City, the Embassy quarter and the magnificent Sheikh Zayed mosque. Or shop your heart out at the Abu Dhabi, Al Wahda and Marina Malls! Located on a private beach overlooking the strait that separates Abu Dhabi Island from the mainland, Traders Hotel, Qaryat Al Beri, Abu Dhabi is a contemporary luxury hotel in Abu Dhabi situated ten minutes’ drive from the city’s international airport, five minutes from the golf course and the Convention Centre and 15 minutes from the Corniche and city center. The hotel features 301 well-appointed rooms and suites, all furnished to the highest standards in a modern and contemporary style. Rooms start at a spacious 32 square meters and for travelers requiring the highest levels of service and attention, the hotel also offers 93 Traders Club rooms and suites with a dedicated lounge on the 9th floor. Additional benefits of staying at Traders Hotel, Qaryat Al Beri, Abu Dhabi include the ease of access to a whole complex, including cross-signing privileges for CHI, the Spa at Shangri-La and Shangri-La operated restaurants and bars. All areas can be accessed by club cars, while just a short stroll away is the Abras (Arabic gondola) waterway. Four Points by Sheraton Downtown Dubai is located on Mankhool Road in Bur Dubai, fifteen minutes from Dubai Airport and a short walk from the Al Fahidi metro station. Close to the city’s traditional roots as well as the towering skyscrapers, the is the perfect platform from which to discover the Dubai Museum, the Heritage Village, Meena Bazaar as well as the Gold and Spice Souks. Relax and unwind in our in our spacious 244 guest rooms and suites, complete with great amenities including free WiFi. The Novotel Dubai Al Barsha is a brand new 4-star hotel located in the city center with convenient access to Dubai’s major business hubs and leisure attractions. Our function rooms will cater for all your conference needs. After a day of business or visiting the sights, enjoy a relaxing dip in our beautiful outdoor heated pool at Novotel. The Four Points by Sheraton Sheikh Zayed Road Dubai is conveniently located on Sheikh Zayed Road, a 5 minute drive from the Dubai Mall, the Dubai Fountain and Burj Khalifa. Indulge at any of our international restaurants and bars, 360° views of the city at Level 43, home cooked Italian at Luigi’s, exotic flavors at Moroccan Restaurant, best Brews at Charlies Pub or delicious buffets at The Eatery. The Hotel has certification from the Green Key for its efforts in regards to environmental awareness, sustainability practices and initiatives. Golden Tulip Al Barsha Hotel is the winner of the award “Hotel of the Year 2014” in the Middle East and North Africa. A deluxe hotel with variety of services and facilities, suitable for the comfortable stay of all types of travelers to Dubai. Golden Tulip Al Barsha Hotel has two banquet rooms for up to 100 people with modern meeting facilities – all just few minutes from Dubai Internet City, Knowledge Village, Tecom and Palm Jumeirah. Sharaf DG Metro station is right behind the hotel, providing fast transportation to any of Dubai’s attractions – Burj Khalifa and Dubai Fountain, Dubai Marina Mall, Times Square Center, Gold and Diamond Park. Mall of the Emirates and Ski Dubai are within 15 min walking distance. Golden Tulip Al Barsha Hotel is located in close proximity to Al Zahra Hospital on Sheikh Zayed Road and Saudi German Hospital. The newly opened Al Maktoum International Airport, planned as the world’s largest passenger and cargo hub, ten times larger than Dubai International Airport, is only 25 minutes drive away. The Five Star Luxury hotel is located in Al Barsha, Dubai, right next to the Mall of the Emirates and conveniently midway between Dubai Marina & Downtown Dubai offering easy access throughout the Emirate. The Plaza is only 25 minutes away from Dubai International Airport, 20 minutes from the new Al Maktoum International Airport and a few minutes’ walk from the nearby metro stations. By car, a ten minute radius will cover top business stops such as Dubai Media City, Internet City, Business Bay and Financial Center as well as leisure and shopping spots which include Dubai Mall, Burj Khalifa, Palm Jumeirah, Madinat Jumeirah, Emirates and Montgomerie Golf Clubs, Wild Wadi waterpark and Jumeirah Beach. The enchantment is immediate at Shangri-La Hotel, Qaryat Al Beri, Abu Dhabi. While the hotel is conveniently located near the airport, golf course and city center, its lush garden landscapes place it in a serene, faraway world of its own. Magnificent views enthrall as you enter. The grand golden-white main building reflects in the swimming pool by the entrance. Your senses are bewitched by the hotel’s impressive architecture, with its fine Arabic decor, full of warm tones and organic textures. As you make your way around the large hotel complex, the fascination heightens. The hotel is connected by a winding waterway featuring Arabic traditional boats, known as abras. You lie back, utterly relaxed, while the abra slowly meanders throughout the verdant garden scenery. The boat drops you at the hotel’s souk, a traditional Arabian market. There you browse through the enticing variety of shops selling traditional artifacts, paintings, jewelry and clothes. A post-shopping stroll along the private beach finds you just in time to catch the sunset. Majestic orange rays spread their soft light across the glittering canal and the white beach, entrancing your soul. After your walk, you decide to indulge in a Four Hands Harmonizing Massage at CHI, The Spa. The skilled therapists’ hands lull you into a state of bliss, far removed from this world. Pampered and at peace, you return to your luxurious room. In the distance, visions of traditional Arabic domes and minarets complete the enchantment. A day like this lingers forever. And it all begins at Shangri-La Hotel, Qaryat Al Beri, Abu Dhabi. An architectural triumph acting as the centerpiece of Yas Island, Yas Viceroy Abu Dhabi hovers over land and water and spans the Yas Marina Circuit, the favored racetrack for Formula 1™ legends. Eleven dining and lounge venues showcase cuisine from all corners of the globe, including lavish Mediterranean choices, house-made Italian pasta, Southeast Asian specialties, poolside bites and Japanese Teppan, created from the freshest ingredients daily. One of the premier locations of Abu Dhabi, the bustling grandeur of the iconic Beach Rotana Abu Dhabi belies the beauty of the bay beyond. This award-winning city resort boasts a central location that is directly connected to the shops, cinemas, and services of Abu Dhabi Mall, and mere minutes from Saadiyat Island, the new CBD and the Corniche. Abu Dhabi International airport is just a 30-minute drive. Step into the luxurious 5-star Beach Rotana Abu Dhabi, leave the city behind, and savor the traditional Arabian hospitality, luxury and comfort of 565 rooms, suites, and serviced apartments furnished to the highest standards. All rooms offer waterside or city views, comfortable work space, and outstanding comfort. Expect luxury linens, excellent WiFi, and attentive service. 11 unparalleled dining destinations await, including Finz, our stunning seafood destination on the water. Dining options abound from the French-Polynesian, Indian, Italian, German, and more. Regal ballrooms, cutting-edge conference and meeting facilities ensure success for groups from 10 to 1500. Enjoy the private beach club, complete with swimming pool, squash and tennis courts, water sports, kid’s club, and extensive gym. Rejuvenate with bespoke treatments in Zen the spa, including the signature Rasul mud treatments and spa baths. Reminiscent of a 16th century Italian Palace, Palazzo Versace Dubai is a Neoclassical masterpiece with subtle traces of Arabian architecture. Featuring a striking entrance, high ceilings, landscaped gardens, and a range of well-crafted Italian furnishings, the hotel is truly symbolic of the Versace lifestyle. Set in the heart of the Culture Village, less than 15 minutes away from Dubai International Airport and 8 minutes away from Burj Khalifa and Downtown Dubai, Palazzo Versace Dubai is conveniently located along the shores of the historic Dubai Creek. On arrival one is welcomed by the striking ‘Pietra di Fiume’ design of the iconic Medusa and Greek decor. A walk through the 5-star hotel’s public spaces reveals several exclusive designs and fabrics from the House of Versace, while the lagoon pools and reflection ponds complement the serenity of the lush gardens that surround the hotel – a true luxury retreat for leisure travelers. Shangri-La Hotel, Dubai, offers 302 luxuriously appointed rooms and suites, as well as an exclusive Horizon Club with special benefits. The hotel is located only 15 minutes from Dubai International Airport and five minutes from the World Trade Centre, Dubai International Financial Centre, Downtown Dubai and Burj Khalifa. Visitors are spoiled for choice when it comes to dining. Take an inspiring culinary journey through Asia, Europe, India and South America. Whether you are seeking rest and relaxation or sports and recreation, Shangri-La Hotel, Dubai, has the facilities and services to ensure total satisfaction. Relax and rejuvenate in the tranquil waters of the swimming pool, or take a breath and unwind at CHI, The Spa at Shangri-La. On a kilometer of private beachfront overlooking the amazing landscape of The Palm Island Bay, One&Only Royal Mirage commands a regal presence amidst 65 acres oasis of lavishly landscaped gardens, just minutes away from Dubai Marina.